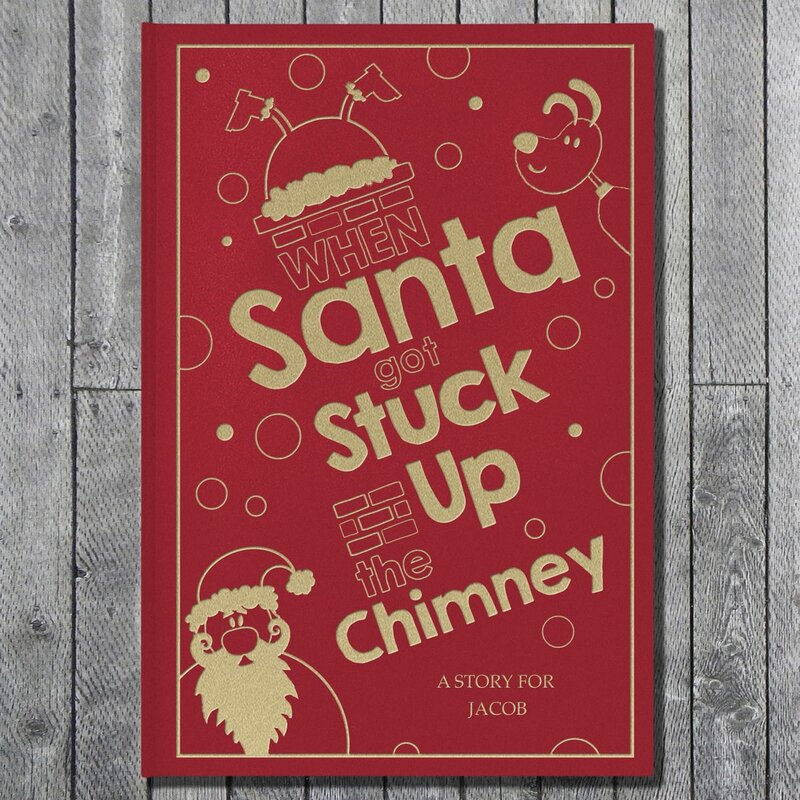 Santa’s been very greedy whilst out delivering presents, so it’s only a matter of time until he’s too big to fit down the chimney. 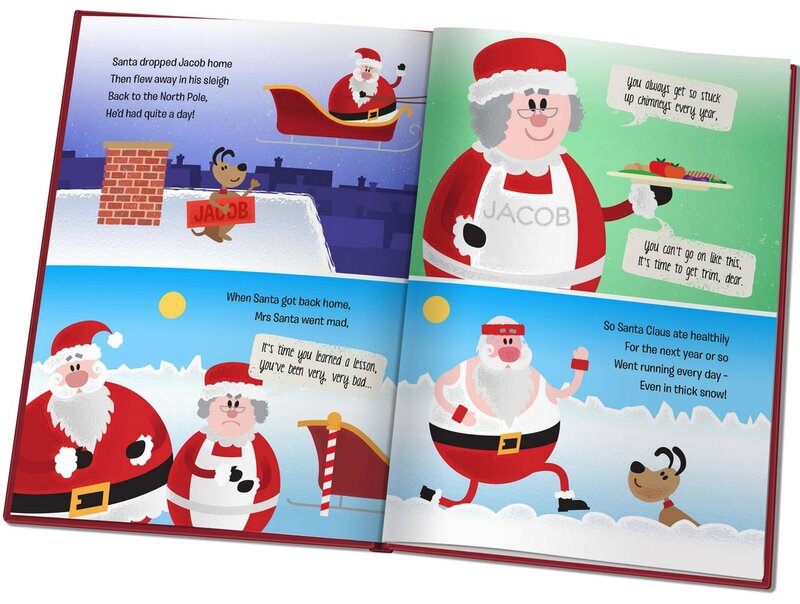 Everyone's heard of the song, but now your child can help rescue Santa this Christmas Eve! 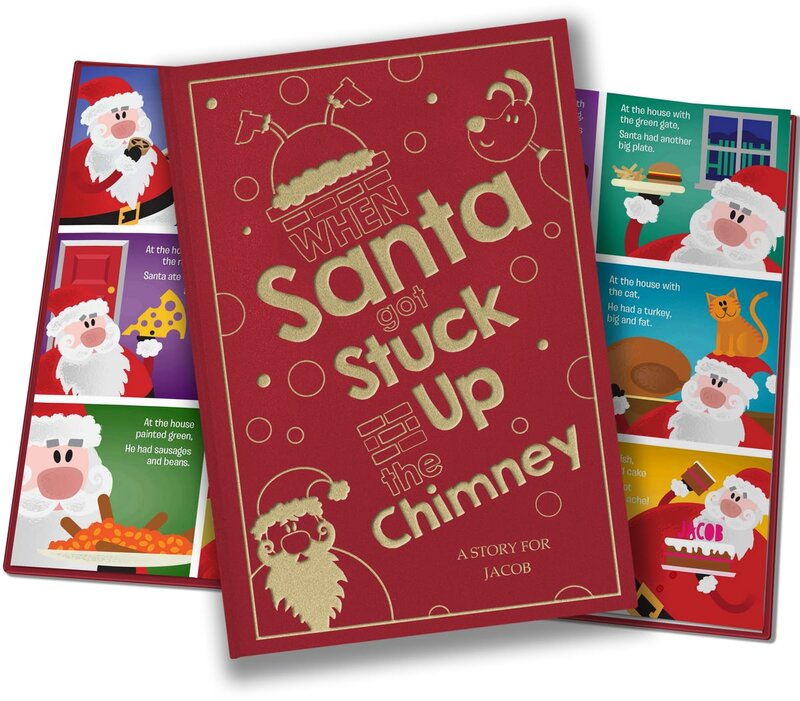 Your child's name appears throughout the book as the heroic dog character that helps to save Santa the night he gets stuck up the chimney. 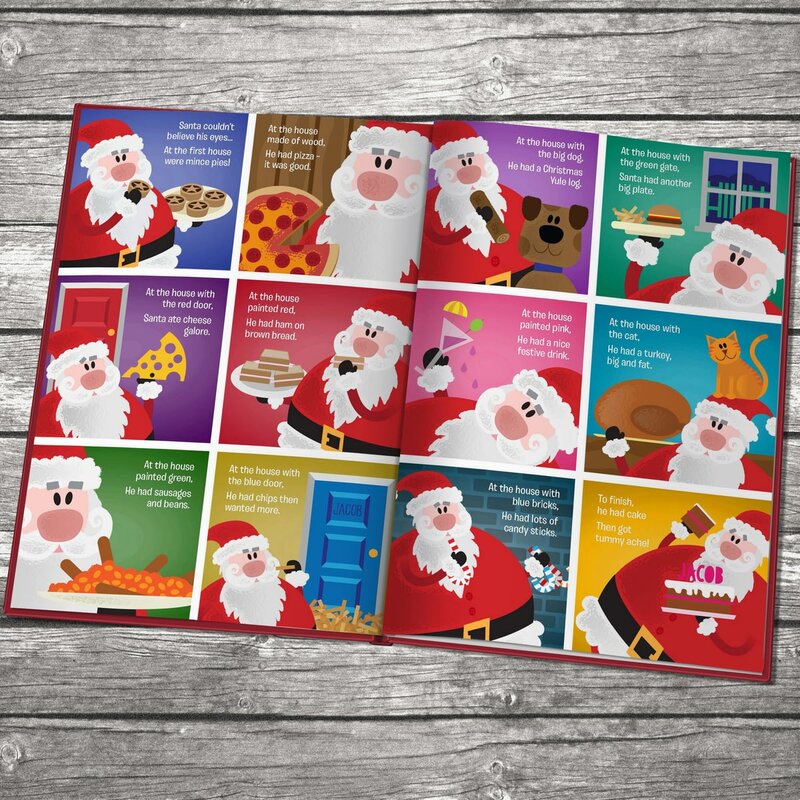 Written through jolly rhyming verses and packed full of colourful illustrations, this festive tale tells how Santa eats too many treats whilst delivering presents. 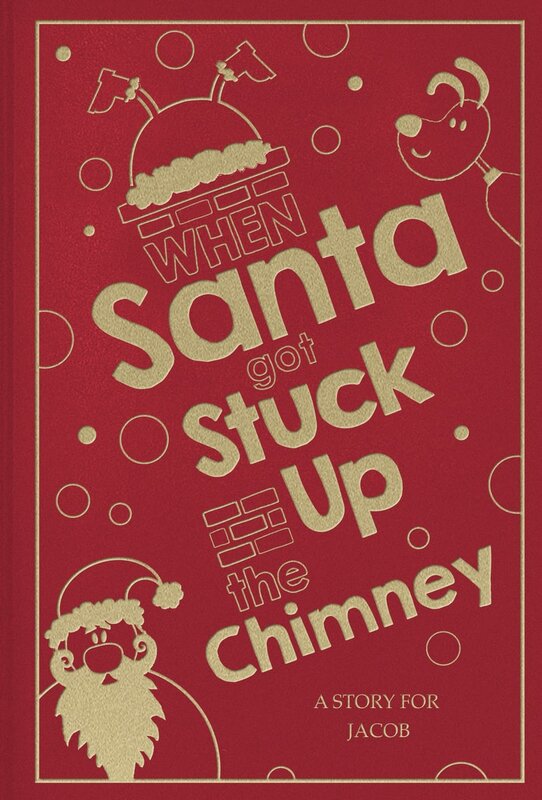 Any Name can appear throughout the story and also within the unique illustrations which will have everyone giggling at this funny tale. 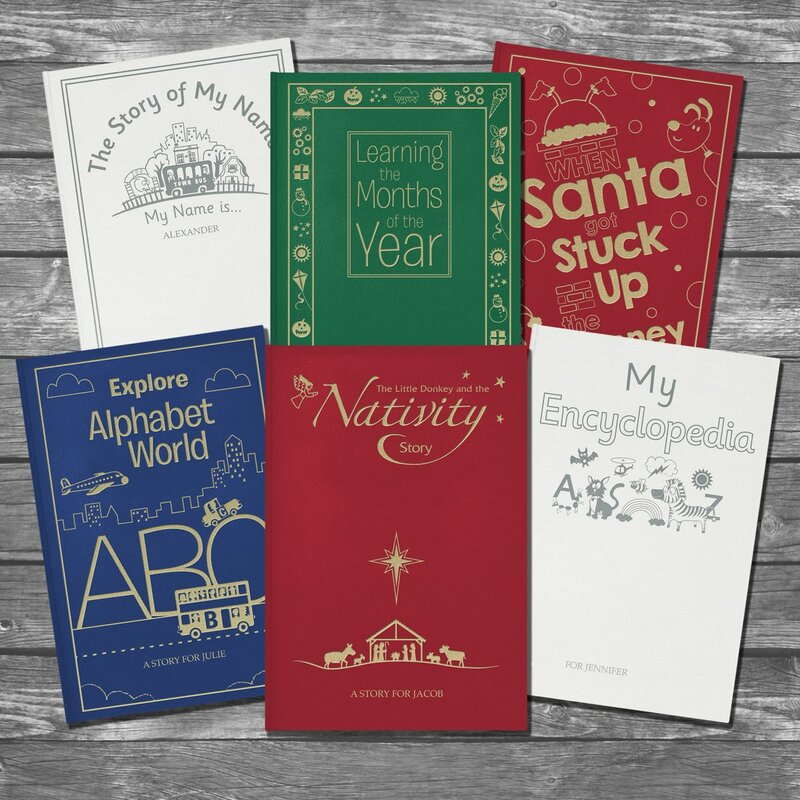 The premium cloth finish cover is gold embossed with your child’s name, making this a Christmas tale to be read year after year. 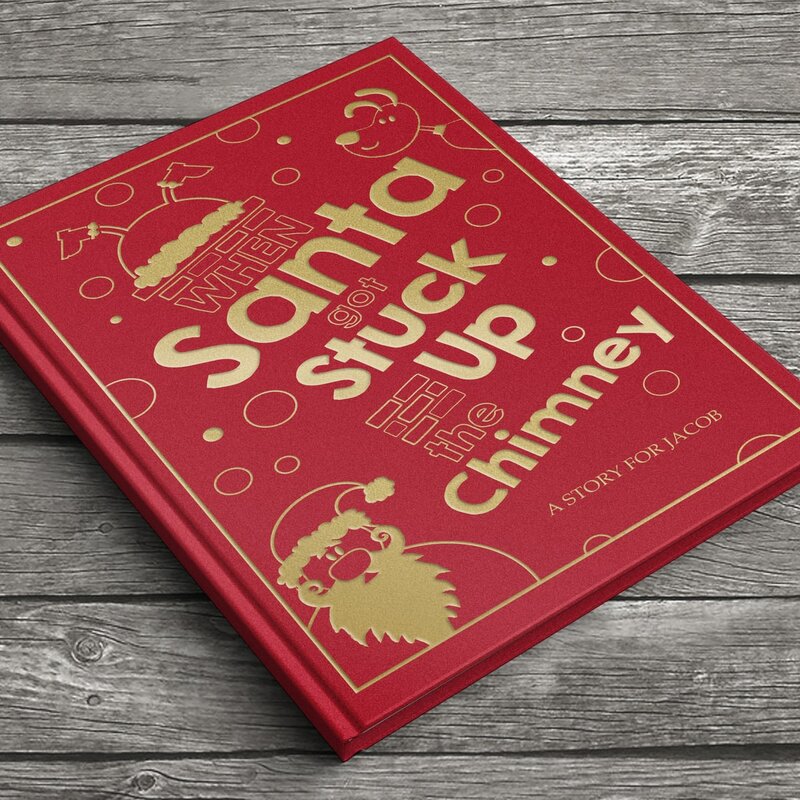 Including your child's name throughout the book as the heroic dog character who helps to save Santa the night he gets stuck up the chimney. This wonderful journey of discovery through Alphabet Land is perfectly personalised with your child’s name throughout. 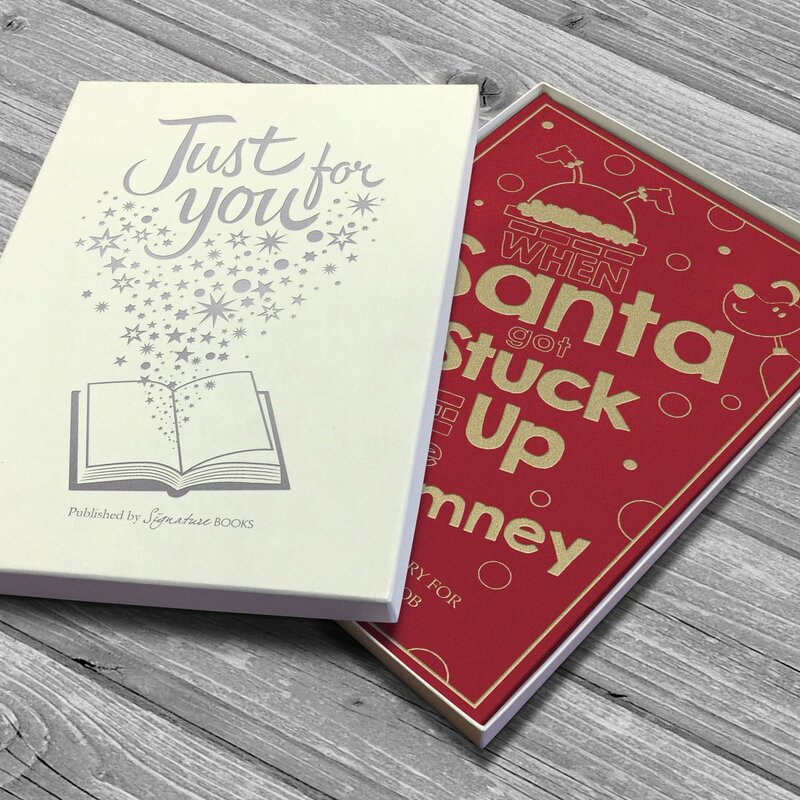 Lovingly written in rhyme with child’s name featured throughout.